For about an hour I thought I saw the ghost of James Brown conjure itself in the middle of the woods in South Jersey, fight off dark rain-laden clouds and spark a languid crowd like a lightning bolt. The heat and length of the affair can make for a less than enthusiastic response. Jones received the dreaded midday slot, when the sun was still high, the air was still thick and many festival goers had already logged about four hours baking under the hot sun—far from ideal and this writer has seen numerous bands fall flat under similar circumstances over the years. Bad time slot be damned, The Dap-Kings, who function as Sharon Jones’ backup band and her label Daptones Records’ house band, took the stage at Appel Farms Art & Music Festival and immediately started laying the sonic groundwork for what was eventually a headlining worthy performance. Her guitar player announced that we were about to witness the “Dap Tones Super Soul Revue” and it was on. Sharon pranced out from backstage like a thunder ball in a yellow, black and white dress. 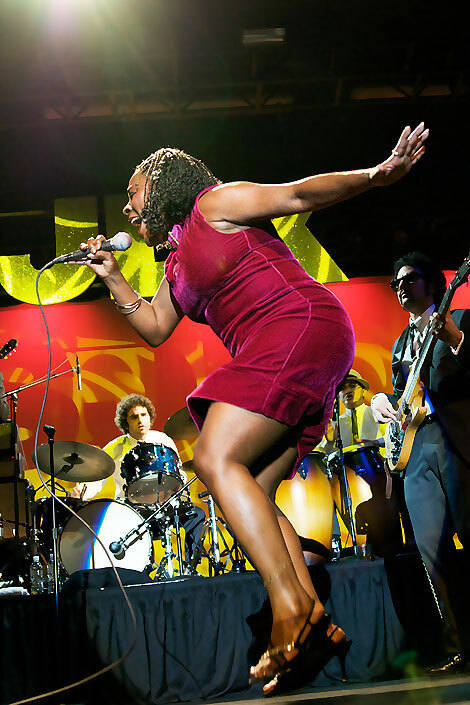 Jones, a very youthful 54, grew up imitating James Brown and his influence is perhaps the most evident, especially in her stage show. Her raw energy, combined with incredible pipes, fleet feet and effervescent charisma also brings to mind another ageless wonder, Tina Turner. This is all a testament to Jones’ prodigious talent and, even more, the degree to which her sound recalls the giants. 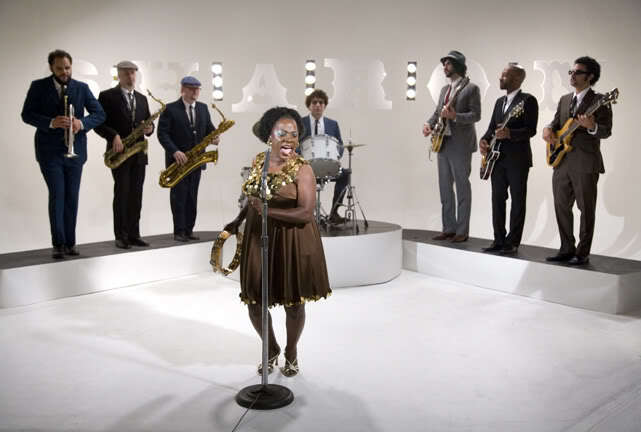 Not because of any creative lack, but rather due to how wonderfully she and the Dap Kings have taken those antecedents, turned them inside out and back again, and then struck out in their own direction without losing any of the potency that soul had in its heyday. At no point does their sound strike you as the least bit derivative. It feels alive and it is a tribute to Jones and the Kings for sounding so unadulterated and vital. After a couple of songs, I began to wonder if Jones has suffered from poor timing. Had she been born a decade earlier or even fifteen years later she would have surely been a star far earlier. As it so happens she came of age in the late 1970s and 1980s, when disco and then hip hop were displacing the soul music she had been weaned on. 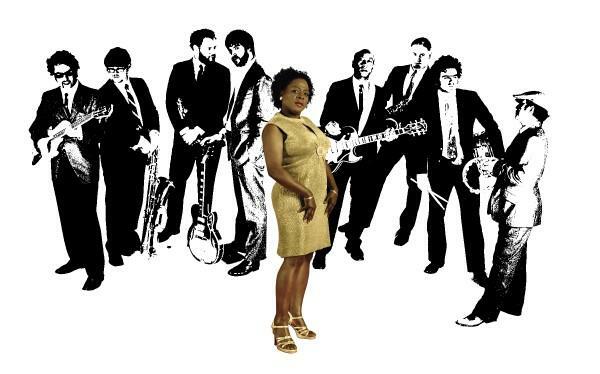 She and the Dap Kings have so perfected their showmanship and craft that they seemed to have achieved an increasingly rare feat and blended talent, charisma, originality and verve into a delicious tonic for an industry increasingly weary of live instrumentation. When she invited a skinny white kid with a big brown fro to dance with her onstage and then later fell over an amp it all just sort of made sense in the best, spontaneous, uninhibited way. After about an hour Sharon bid us adieu but you knew they could have played for another four hours.